Floor owners know how expensive paving materials can be which is why some won’t even dare have their old, damaged floors replaced. In Dallas, Texas, it can be very unpleasant to see such concrete surfaces on patios or driveways. Fortunately, there are now more practical alternatives to tearing out old concrete and replacing it with a new concrete mix. Instead of tearing it out, it is repaired and resurfaced with a decorative concrete coating or overlay meant to provide improved durability and better aesthetics. Decorative concrete contractors in Dallas are proud of such solutions because these are proven effective in both residential and commercial settings. Concrete Resurfacing and Refinishing Options: Stamped, Stain, Epoxy Flooring & more! Dallas has an ideal weather, with hot summers and mild winters. Concrete helps keep homes cool during warm days and retains enough warmth for cold weather. However, the physical appeal of plain concrete is not really something homeowners are fond of. A thin layer of decorative concrete coatings or overlays is enough to make it look more appealing while taking its functionality to a whole new level. Stamped Concrete Overlay – Applying a thin layer of concrete overlay helps mask off blemishes and give the floor a new surface to work with. Stamp mats are then used on the new surface, imprinting a specific design or pattern. Stamped overlays come in various concrete stamp patterns and textures such as brick, flagstone, slate, tile, cobblestone, and more. 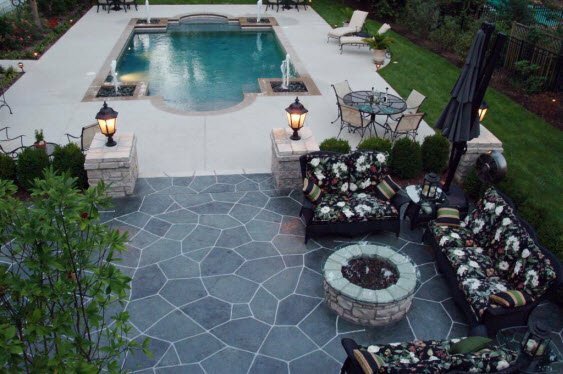 Acrylic Cement Coating – Perfect for outdoor surfaces like patio concrete, pool decks, and driveways, this acrylic concrete coating is sprayed and troweled onto concrete floors. It produces a stucco-like knockdown texture surface that is slip-resistant and cool to the feet. 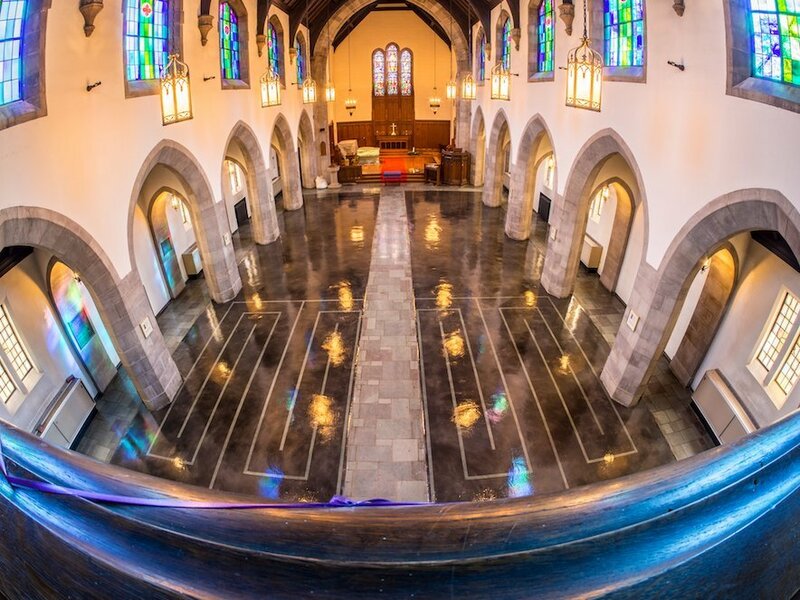 Stained Concrete – Staining concrete is perfect for use on any floor, whether stamped or polished. Acid stains produce semi-translucent colors in various hues created by the chemical reaction. Water-based stains produce opaque colors with consistent hues. Epoxy Flooring – This two-part material, once mixed and applied, cures to a very hard surface that is resistant to impact, abrasion, stain, and even dirt. This is often used on garage and basement floors because of its impressive durability. Polyurea Polyaspartic Coating – Originally, this material is used to coat industrial floors, keeping it protected from heavy use, tremendous weight, and more. It is now available for use on commercial and residential floors due to the increased demand on quick-drying floor coatings. Looking for impeccably efficient decorative concrete solutions for your pool deck, patio or driveway? Call (972) 885-6067 Now! Turn your old, boring floors into masterful creations with concrete coatings and overlays applied by the decorative concrete resurfacing experts at Dallas Concrete Surfaces. We have decades of experience in both residential and commercial locations in the Dallas, TX area. Why strain yourself with a DIY? Let our concrete repair & resurfacing experts handle it! Call or email us today!